Hire Mirror Booth Melbourne in Any Events or Occasions! Level up or take the average? Elevate your average photo booth with this latest technology. Mirror Photo Booth is a unique as well as stylish photo booth that fits with any event, and any occasion! 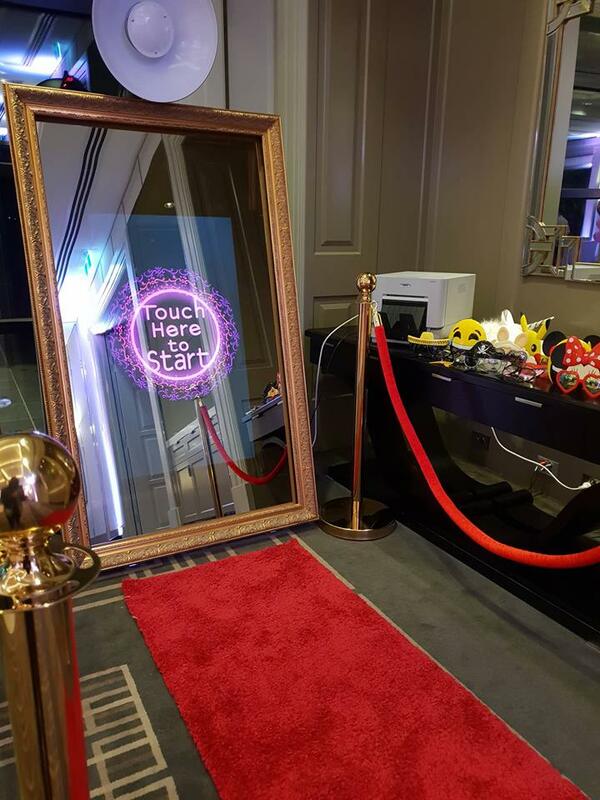 Simple to use, mirror photo booth is a great addition to your private event, with a large touchscreen mirror where you can take full-length selfie pictures. Looking for a truly unique photo booth experience? Look no further! Hire Mirror Booth Melbourne and witness the full-length touch screen mirror. This will surely bring an element of wonder and awe to occasions like weddings, birthdays, Christmas parties, fundraising events, engagement, corporate happenings and business parties. Hire Mirror Booth Melbourne to experience a truly unique photo-generating product offering the latest technology in interactive picture taking. It is a magical experience that you and your guests will surely love. Overall, capture every image from head to toe and Hire Mirror Booth Melbourne from Matt Jefferies Entertainment. In addition, our mirror photo booth packages includes unlimited prints, photo layouts that are fully customisable, original images from the camera, plus an onsite attendant to ensure everything runs efficiently. Additional features contain game features, choice of setup (rustic or red carpet style), sleek design and a user-friendly interface for newbies communicating with guests through a touch screen of colourful animations and entertaining voice guidance. In fact, give your guests something special to remember by hiring a mirror photo booth. Hire Mirror Booth Melbourne from Matt Jefferies Entertainment for your wedding or any events. Definitely, we are dedicated to making your special event a success. Something that you and your guest would not forget in the years to come. On top of that, it takes less floor space and blends in well with any wedding venues and décor. Enthusiastic in booking a photo booth? Give us a call now for your upcoming event. Choose from a wide range of packages we offer. Get in touch with us today to find out more. Book the best mirror photo booth around. Book and Hire Mirror Booth Melbourne for your party! Matt Jefferies Entertainment – www.mattjefferiesentertainment.com.au – Wedding DJ Melbourne – Hire Mirror Booth Melbourne and avail our packages.